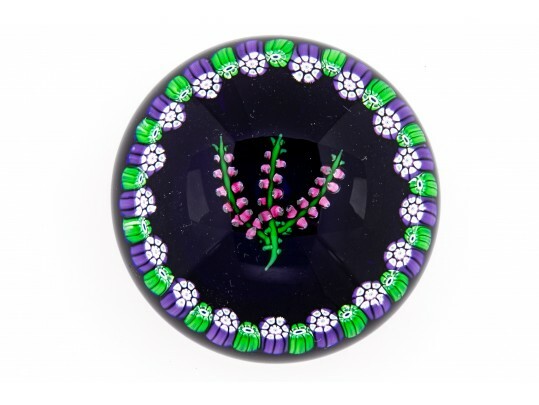 Perthshire, Scotland limited edition paperweight with a small sprig of Scottish heather set on a deep amethyst base and surrounded by alternate amethyst and green millefiori canes. Signed and dated 1978 on base. Comes with certificate and original box.